It started with gender-neutral bathrooms. Now, discount retail giant Target is launching a gender-neutral line of children’s clothing. And just in time for back-to-school shopping! 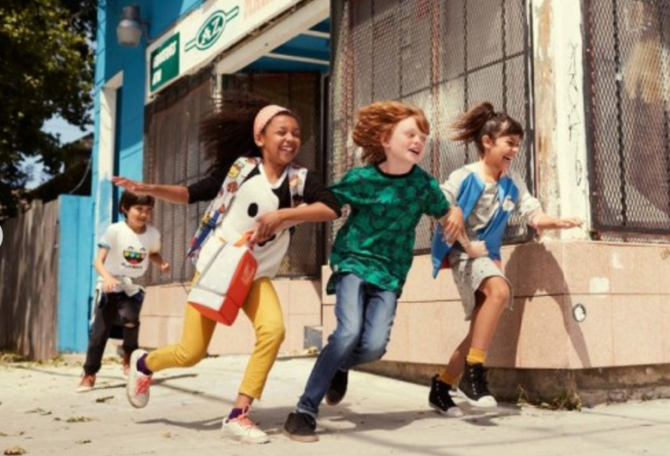 On July 17, Target will unveil its new line of gender non-specific threads for kids produced by Toca Boca, an app-turned-lifestyle-company based in Stockholm. “Our vision for the clothing line was to do what we’re good at at Toca Boca, which is play, and translate that into everyday experiences for kids,” Mathilda Engman, Toca Boca’s design director, says. The collection promises a large selection of clothing, sleepwear, bedding, backpacks, toys, and other accessories ranging from about $6 to $30 and tailored for everyone–boys, girls, and everything in between! I support Woods here Why would you make your kid a target? Why drag a kid through what gender they are before they even know what they like. Still proud to say i havent shopped in a Target store since their pro perv stance. #BoycottTarget ? Target's gender-neutral kids clothing is located right between the boys clothing and girls clothing, literally and figuratively. Watching all the cis cry over Target's gender neutral clothing is hilarious. I'm just jealous they're not in my size, they're cute af! I’d have no problem buying those clothes for my eight year-old son. I look at those pictures and I just see kids clothes, not a political statement. All *boys’ clothes* are “gender neutral” to begin with…basically. Girls’ clothes are slightly more gender specific based on cultural norms….skirts, dresses, everything pinks with pictures of cats on them. The Target haters can keep on hating…..shopping at Target without the fauxmericans just makes for a more enjoyable shopping experience.